The 20 gauge has been around for years, providing the world with the perfect balance between firepower and recoil. 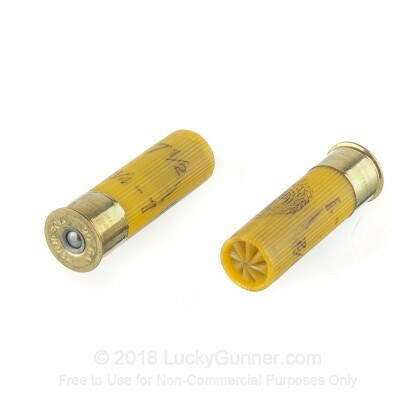 If you are looking for something for hunting small game, the 20 gauge is better than its more popular brother, the 12 gauge, due to its smaller payload, but it by no means is knocked out of the game for taking out bigger animals. 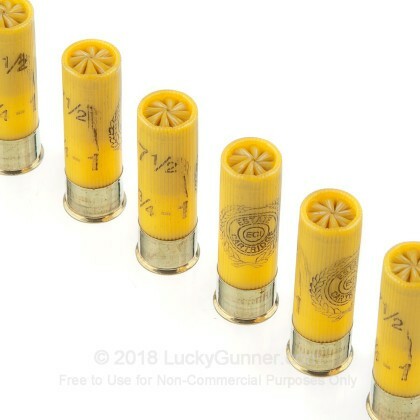 When you go out to the range and are looking to be shooting all day, the 20 gauge has got your back with its lower recoil. Whatever your purpose, the 20 gauge shotgun is perfect for you. Leading the shotgun world in marketing, distributing, and manufacturing, Estate has the perfect ammo for all your shotgunning adventures. 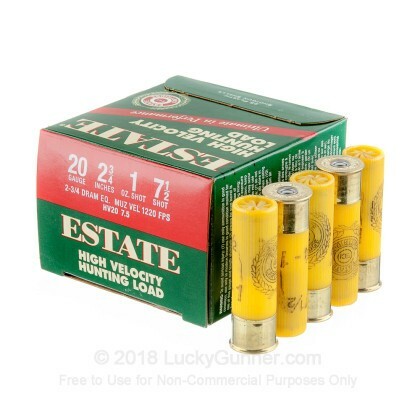 With these Estate, high velocity, hunting, 2 3/4", one ounce, 2 3/4 dram, #7 1/2 shot shells, you will have no trouble taking down delectable birds and other small game. 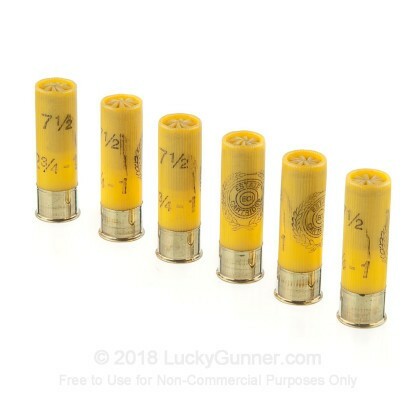 Firing at 1220 feet per second, when this ammo slams into your game, you won't have to worry whether it killed it or not. 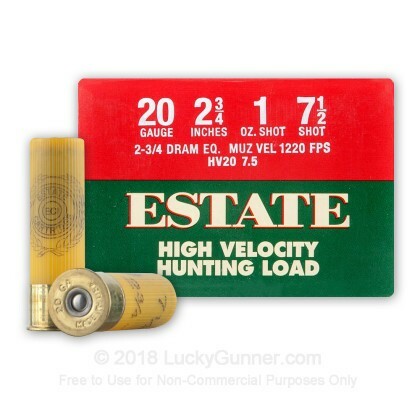 We don't have any reviews yet for this particular 20 Gauge ammo from Estate Cartridge. 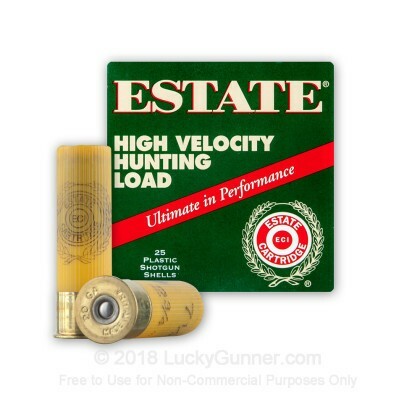 If you'd like to be the first to review this particular 20 Gauge ammo from Estate Cartridge, fill out the form below.